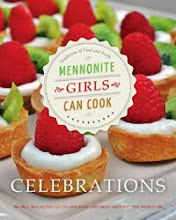 Mennonite Girls Can Cook is a collection of recipes which were posted daily for a period of ten years from 2008 to 2018. We have over 3,000 delicious recipes that we invite you to try. 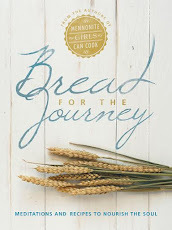 The recipes can be accessed in our recipe file by category or you can use the search engine. This time of year the wild blackberries are full here in the Fraser Valley. If you lived in our area you'd most likely see me just minutes from our home sporting my berry picking garb. Let's just say I'm quite a sight in my knee high rubber boots, jeans and my hubbies over sized thick denim shirt. I bring along a few ice cream pails and a long rack to pull the branches closer. The best berries are always just out of reach. The branches are thorny but it's worth a bit of discomfort....after all, look at one of the end results! Roll out pie dough to fit pie plate. Roll out second piece and either keep it whole for a full top crust or cut into stripes to make a lattice top. Once berries are clean, place in a large mixing bowl and add remaining ingredients. Stir to combine. The berries will break up some but that's how it should be. Pour berry mixture into crust lined pie plate. Weave the strips of pastry over berries to make a lattice top or place the whole top crust over and flute the edges. If using a whole top crust poke some holes in the top with a fork. Bake in pre heated 375º oven for 40-50 minutes. The berries should be bubbling and you will notice the liquid has thickened. Remove to a cooling rack. Serve with ice cream. My heart belongs first to my Heaven Father. He created me giving me life....and as I grew I came to understand through my loving parents teaching and their lives, my need for new life in Christ. That decision I made as a child has shaped my life and Jesus is the Lord of my life. Secondly, my heart belongs to my husband Scot. We met in our church youth group, and dated most of our high school years. We were married on New Years eve 1977. We have two married daughters and their husbands are great men! We have 5 precious grandkids from age11 down to age 7. I love my family! My happy place is my kitchen. It's where I stir up a whole lot of things to serve others, and share life with others around the table. I'd rather share coffee across the table than text or email. I love face to face relationship, engaging in good conversation. All for Jesus! I can picture you Kathy!! The knee high rubber boots and the bramble resistant garb and what a great idea to take something along for pulling in those hard to reach branches. Reminds me of how my mom used to tie the honey pails to our wastes to pick the raspberries. The end result looks amazing and I knew in an instant that this was one of your pies - please pass me a piece! Yes, I knew instantly as well this was another wonderful "Kathy" recipe! I, too, pick blackberries but simply put up with the scratches...and am sorry afterward that I didn't dress for the job! I still make your blackberry syrup - you posted that recipe a year or two ago, and now I simply will have to try this pie - I'm guessing it will be a keeper as well! Have a nice day, and keep up with the lovely recipes, please! I too, picked blackberries in protective garb, including brown jersey gloves, with fingers of the dominate-handed glove cut off for delicate picking and to protect my hands as much as possible. Our family favourite use? Creeping crust cobbler! To print a recipe click on the Title. You will find the Print button at the bottom of the recipe. personal use only. 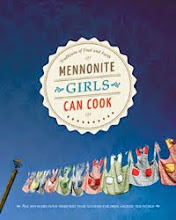 Please do not post our photos or recipes on your website without written permission and credit to MGCC. Enter your email address and have new recipes sent to directly to your inbox.